Lately I have stumbled upon a great illustrator from St. Petersburg ( Russia ) Alexandra Balashova. Besides drawing very charming watercolors Alexandra is also a mom of a little boy. 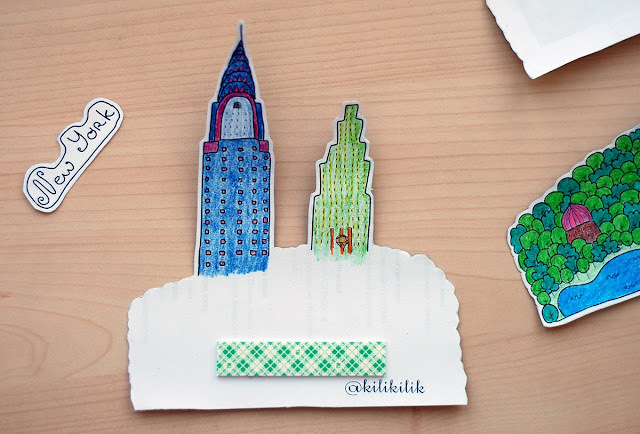 Also in her personal blog Alexabdra offers stunning 3D cities postcard patterns. These are something one cannot walk past. Currently the pattern library lists 10 capitals: Rome, London, New York, Stockholm, Paris, Helsinki, Kiev, Bangkok, Barcelona and Istanbul, but there are more to come. The idea is really simple yet brilliant. Such postcard can be a perfect last minute gift or simply a nice way to pass the time with your kids and family. Initially the drawing is black and white. You can leave it as it is or color it with pencils (as I did). To start with – print the pattern on a thick paper ( Alexandra recommends 250 g/m2 ). If you don’t have such a possibility you can simply glue the pattern printed on the standard paper on the cardboard. The best part is coloring the drawing. Use your imagination while choosing the color for each element, since there are no instructions on how the colored version should look like. 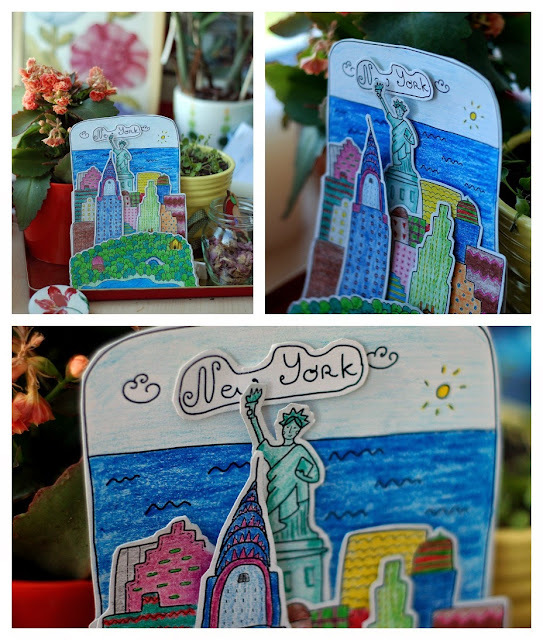 After you are done with coloring cut out the layers of the postcard and connect them with a double-sided tape. That’s it. All patterns are available for download in Alexandra’s blog. ( It is in Russian, but download links are really easy to find ). You can also check out ALexandra’s commercial works on Behance. 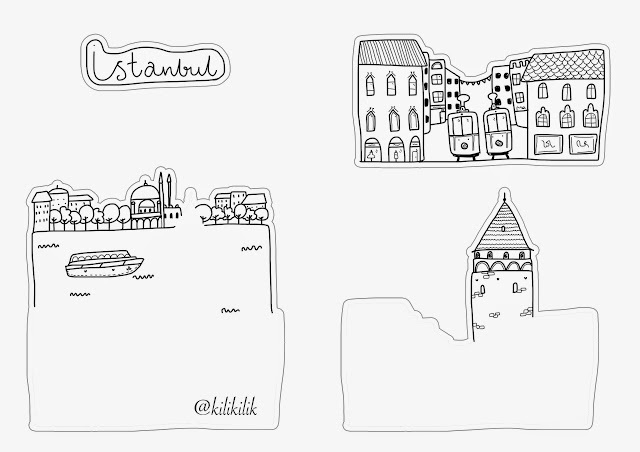 And if you post your postcards in Instagram don’t forget to use #kilikilik_cities tag.